It is no secret that college life is significantly different from high school. However, though there are a lot of new things to learn at the postsecondary level, students can still apply some of the same techniques that were successful in high school to their college education. Here are some lessons learned freshman through senior year—the first time around—that will also benefit you in handling your college experience. One of the reasons so many students make it to college is because they had some amazing and inspirational teachers throughout high school who helped them get there. You may have even asked some of your professors to write letters of recommendation to include in your college applications. Getting to know your professors can make a significant difference in college as well; not only does it make class more interesting, but it’s a terrific opportunity to get informed opinions about options for your future studies and career from experienced professionals. Professors can be excellent mentors and provide incredibly valuable advice. That said, in college, it can be a bit more difficult to get to know the professors or even teaching assistants, but that doesn’t mean you shouldn’t try. In classes with more than 100 students, lecturing professors probably won’t even know your name. However, connecting with professors is crucial to acing a class and understanding your options later on (e.g., it’s never too early to start thinking about graduate school and/or career paths). Take advantage of your professors’ office hours, contact them via e-mail, and ask questions during or after class. Many professors, when approached politely, will be very helpful to students. 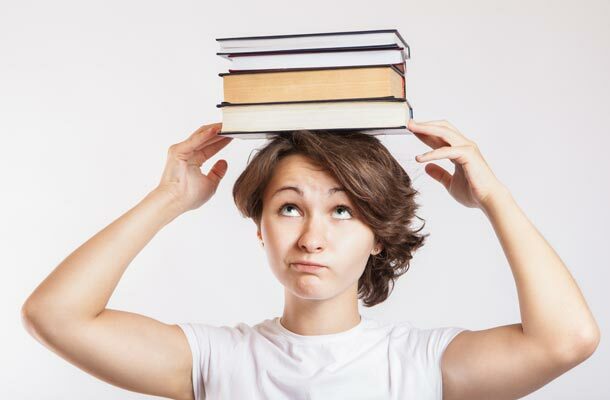 Doing well in college requires balancing your studying and your social life adequately; prioritization and self-discipline are key elements to accomplishing this goal. Bring all of your best study habits from high school, while recognizing that college is a new environment. You may have studied well at home when you were in high school, but you may not be able to study as successfully in your dorm, whether due to the noise of a busy residence hall or because you just get along so well with your roomie, you want to hang out all the time! Most colleges have multiple libraries and many study rooms that can be reserved in advance to provide a quiet place to work. Perhaps you also learned in high school that studying in the same place that you sleep doesn’t typically work, as late-night cram sessions often end with you falling asleep on top of open textbooks. Most dorms already include desks, but if you move into an off-campus apartment, be sure to buy a desk and most importantly, use it! It may have taken you all of high school to figure out how you study best, so make sure to bring that with you to college. If you learn best by listening, ask professors if you can record their lectures. If notes are your best friend, keep writing them, and try using different colors to highlight items too. If you’re a kinesthetic learner, choose classes that will keep you active through hands-on activities. Also, try scheduling breaks in your study sessions to keep from getting bored. It’s also critical to know when you study best. Are you a late-night thinker, or would you prefer to get work done in the afternoon and take the evening off? If you couldn’t overcome procrastination in high school, give it another try in college by starting assignments and papers as soon as you get them, or create a plan to complete course work in small manageable parts over a period of time, rather than leaving them until the last minute before their deadlines. In high school, you may have learned that you’re only as studious as your friends. In college, continue to choose your study partners wisely: no one wants to stay up until 3:00 a.m. just because a class partner didn’t do his or her share of work. Choose study-mates who are dedicated, hard working, and innovative. All of you must be team players as well; do your share and take the lead when necessary, but also see what others have to offer and give them a chance. A solid group of study buddies can be a reassuring presence when trying to comprehend the complicated instructions to a major project or when final exams creep up on you. There is no shame in using a little bit of support when working through the academic challenges that arise in college. Cathryn Sloane is a contributing writer from Varsity Tutors, a premier private academic tutoring and test prep provider designed to help students at all levels of education achieve academic excellence. Varsity Tutors delivers in-home, personalized, one-on-one instruction in any subject, from STEM to the humanities, and customized preparation for all standardized exams, including ISEE, SSAT, SAT, and ACT and graduate exams such as the GRE, LSAT, MCAT, and GMAT. Students from elementary to graduate school are expertly matched with an exceptional tutor who is best able to address their unique needs and goals. To ensure satisfaction and safety, only the highest caliber tutors are selected to join Varsity Tutors following a rigorous screening process. Varsity Tutors currently serves 19 cities nationwide and offers a variety of tutoring packages. Students and their families interested in learning more about Varsity Tutors should visit www.varsitytutors.com.